It’s been quiet here lately. I moved back to Germany and have taken on new responsibilities at work. We are slowly getting settled in, although i still have to get the network at the new apartment up and running the way I want it. I expect to post here more often once I have more time for side projects. One thing I recently acquired and really like, is a new case for my Odroid XU4. The small 5v Noctua fan fits very nicely in it and is virtually silent, together with the large heatsink it stays cool enough and seldom has to throttle the CPU. 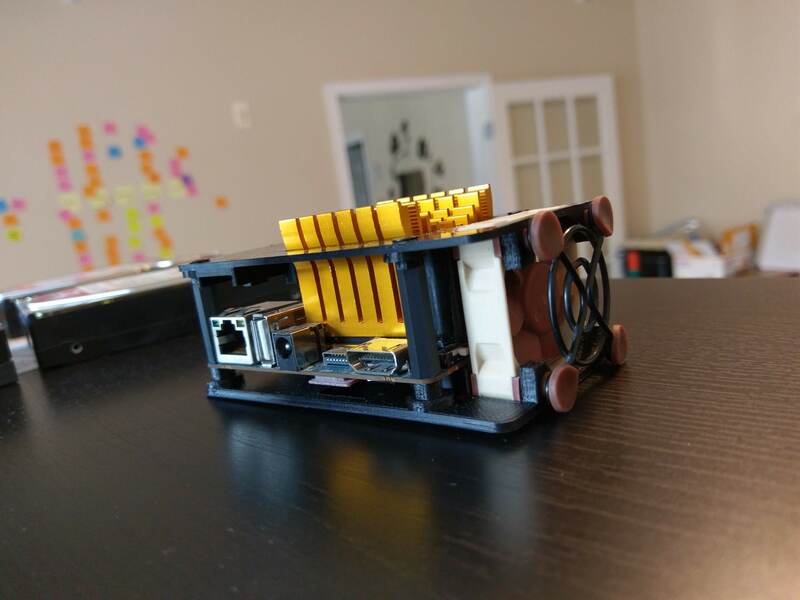 I prefer the odroid over a raspberry pi for “small server” tasks since it has a Gbit interface (that isn’t shared on the USB bus) and supports eMMC modules (no one enjoys waiting on I/O).